Calcutta Kids is a not-for-profit public health organization committed to the health and empowerment of the underserved women and young children in the Kolkata slum area of Fakir Bagan. This is achieved through the provision of intensive preventive services complemented by effective curative care when required and carried out primarily by locally trained Community Health Workers (CHW), most residing in these very slum areas. 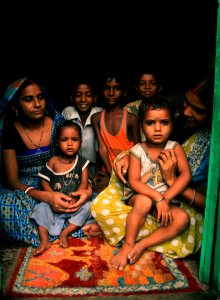 Calcutta Kids’ central program is the Maternal and Young Child Health Initiative. Calcutta Kids believes in evidence-based development work and each of these programs has clear objectives which are continuously monitored and evaluated through an online Management Information System. Through a combination of health and nutrition service delivery to an underserved population; systematic monitoring and evaluation to ensure program effectiveness; and a dedication to responsible and efficient financial management, Calcutta Kids’ ultimate goal is to create a proven model of healthcare delivery worthy of replication. Homepage and other photos thanks to: Yvan Cohen, Brett Cole, Paul Kidder, Sohrab Noshirvani, Jean Sack, Joseph Anderson, and CK staff.